The brisk chill has arrived in the air and our homes are starting to feel a little cooler. Fall is the perfect season for an easy re-fresh. Choose the perfect colors to warm up any room during this season. Orange - Embrace nature's colors this fall with orange! This hue can be a bright pop of color or a more subtle version but either way it will evoke your senses and create a serene environment indoors. 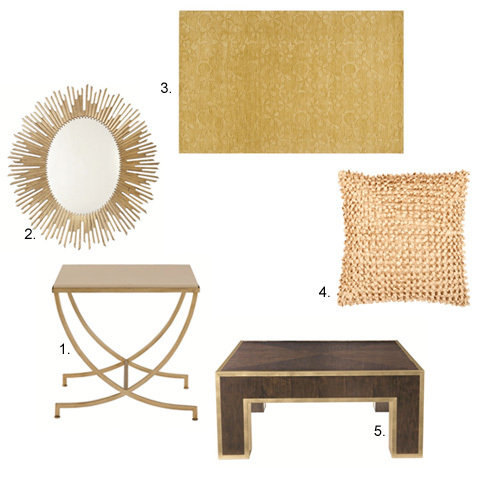 Gold and Brass - These traditionally luxurious hues are a great option for fall when the leaves are changing. Get ready indoors for fall apple ciders and the holidays that are quickly approaching with gold and brass accents. For more design ideas and inspiration, visit Belfort Furniture's furniture campus in Dulles, Virginia. Filled with hundreds of room settings in four unique showrooms, Belfort Furniture is a destination that won't disappoint! Need some design help? Contact us today via our Online Design Help Form that's simple and provides us with the info we need - once completed, our design consultants will contact you with some great ideas and suggestions for your room, or your whole home!